A Full tuition payments for the upcoming academic year paid by July 15th. Parents may deduct $100.00 from their tuition bill if this plan is selected. B Two equal payments of the total tuition. First is due by July 15. The second payment is due December 1. Payments received after the due date will incur a weekly "late payment" charge of $25. C Ten equal payments of the total tuition. Payments for this plan are handled by FACTS Management Company. Checking, savings, or credit card accounts are used to withdraw the money electronically. You may select a withdrawal on the 4th or 20th of each month. Payments begin in July with April being the last month for withdrawal payments. D Extended Payments over 18-60 months are available through Your Tuition Solution. Apply online at www.yourtuitionsolutions.com or call 1-800-920-9777. Financial Aid requests are processed through FACTS Grant & Aid Assessment. There is a $30 processing fee. You may apply online at https://online.factsmgt.com. Students who have not paid the $500 registration fee by the registration deadline risk losing their financial aid grant. The facts websites opens on November 1. Visit https://online.factsmgt.com/signin/3GH80. 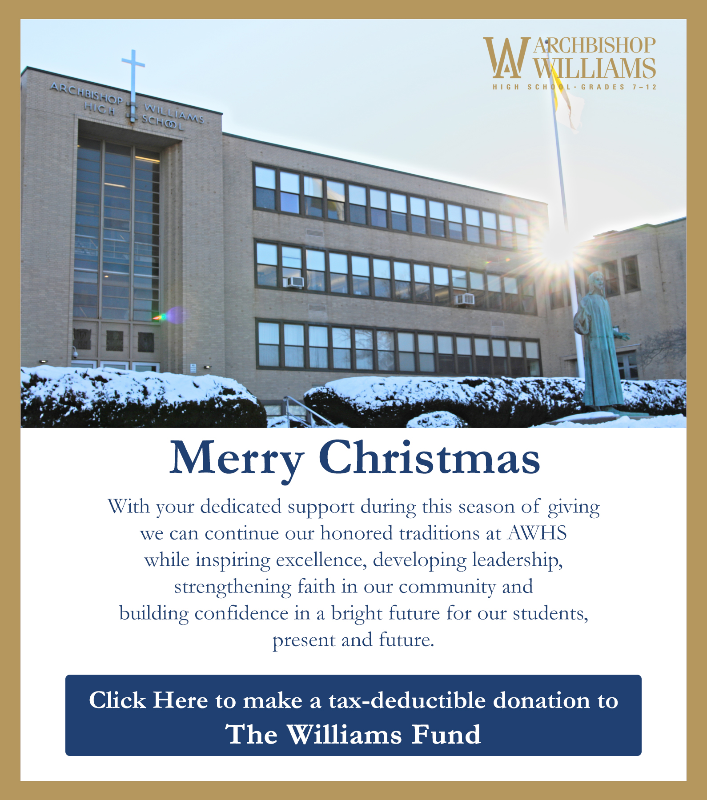 Archbishop Williams awards a limited number of partial merit scholarships. These merit scholarships are based upon 7th and 8th grade transcripts and the student’s performance on the Catholic Secondary School Entrance Exam.